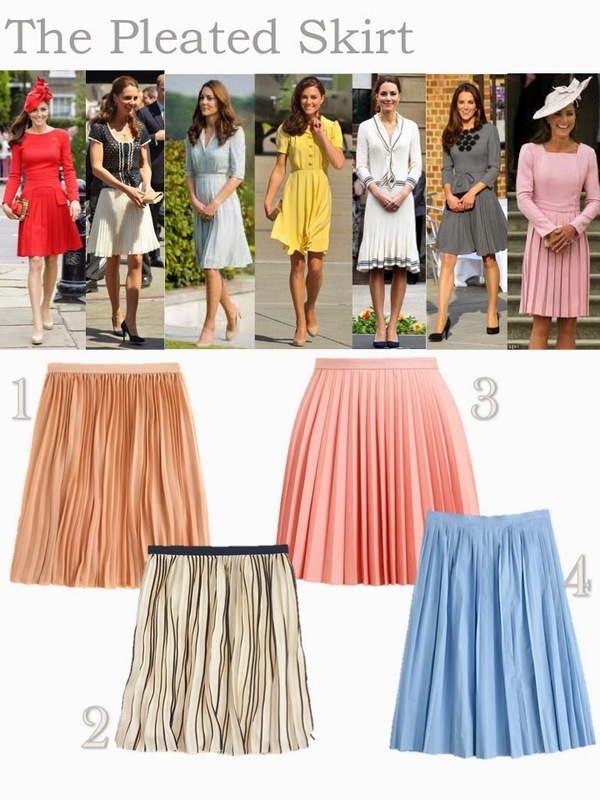 I started this post as a "best of the pleated skirt" edition, but it quickly turned into an ode to the Dutchess of Cambridge. Say what you want about the Royal family, but I am completely in love with everything they do. I remember my mom waking me up at 6am with tea and scones to watch the royal wedding (and I remember crying watching it). And I cancelled plans last August when Prince George was born (because the CNN coverage was addicting). So naturally, I want to emulate Kate's style. Aside from trying to marry Prince Harry and inheriting some Crown Jewels (he's still kind-of available, you know), the best way to dress like a royal is to wear the ever-classic pleated skirt. They can be super flattering, and very feminine. If it's good enough for Royalty, then it's good enough for me! 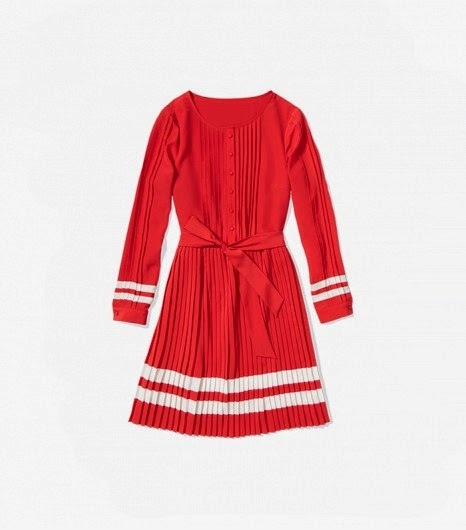 And isn't this dress absolutely perfect? It's from the "To Tommy, from Zooey" collaboration. You can find it online or in select stores starting next week.